The Newtsuit is a full-body exoskeleton designed for undersea work. 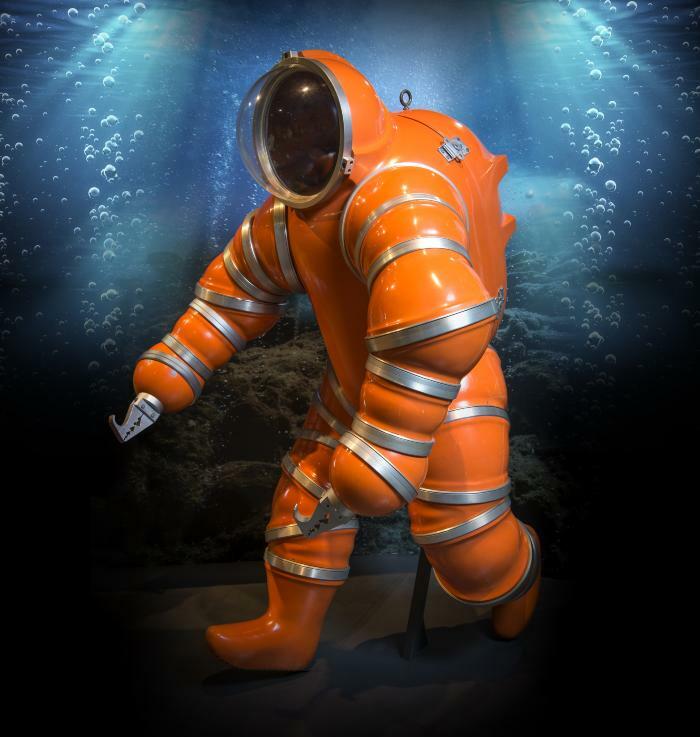 Recognized as the world’s first rigid-body diving suit, its articulated arm and leg joints, on-board oxygen supply, and optional thrust pack provided divers with manual flexibility and increased freedom of movement at depths conventional soft-body scuba gear couldn’t reach. This replica was built by the Newtsuit’s developer, Can-Dive Services Ltd., for a design showcase at Expo ’86 in Vancouver.